I hope you had a safe flight back to Manila this morning. 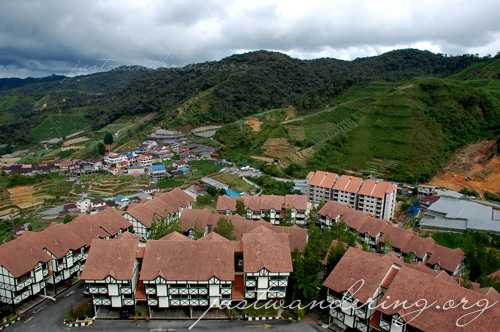 As you were waiting to board your plane, we checked out of Impiana KLCC and headed towards Cameron Highlands. Marie, our tour guide, was incredulous when she discovered that our itinerary did not include the Batu Caves. Since it was on the way to Pahang, she instructed our driver Azizi to make a quick stop at the limestone hill. After climbing up and down the 272 steps up to the temple and taking lots of pictures, we were back on the highway, headed towards Perak, where we had lunch. The tribal head clowning around and targetting Azizi, our driver. Marie took us to one of her favorite eateries in Bidor, famed for its roasts. We feasted on succulent roast duck, paired with roast pork, wonton mee and your favorite Horlicks ais. Marie also let us try this fruit called the waterapple, which is like a bigger, seedless version of our macopa. 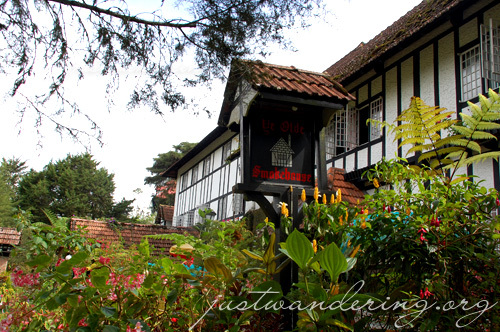 We continued driving towards Cameron Highlands, stopping at the Lata Iskandar waterfalls, the hut where Michael Jackson lives (no, not MJ), and at the Smokehouse Hotel — a Tudor-style house that was first opened in the Christmas of 1937 for British expatriates. We’re finally checked in our rooms at the Equatorial Hotel, which, much to our dismay, does not have free wi-fi nor Internet connection. Sad face. Anyway, I hope you’re doing fine, and coping well with the series of meetings lined up upon your arrival. ** This post was written yesterday, passing time without wifi. You went to Batu Caves!?!! We met during the tourism seminar at Mines Wellness Hotel. I’m from the other Filipino group. 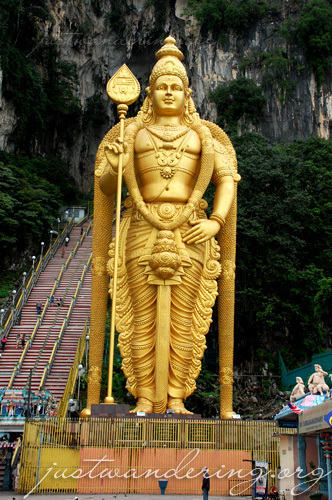 You went to Batu Caves, wow! How I wish that was part of our itinerary. Maybe next time. I don’t think I could’ve survived the walk anyway, I was (still am) fasting because it’s Ramadhan. I’ll link you up in my blog, I hope that’s all right? Kakabilib mga blogs ninyong tatlo – you, Ivan and Ferdinand. 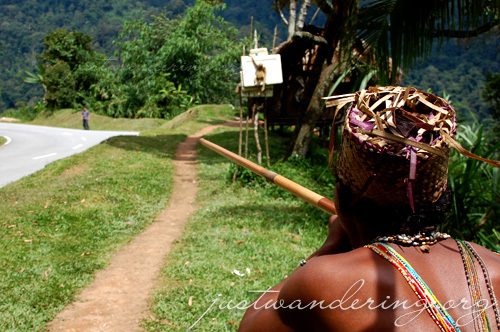 Travel blogs talaga, astig. 272 steps! Mother, ‘di ko kaya!